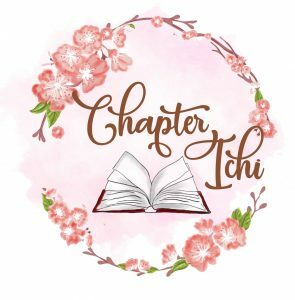 Chapter Ichi – Living life moment by moment, book by book. When Jess heads west for a fresh start in a small mining town, the dusty, outback plains are a far cry from her former life in the city. Despite having no knowledge of country life, she finds herself loving the isolation and local people who she lives with. All she has to do is keep her head down and work hard to create a better life for herself and Johnno, the only person she has ever truly cared about. As relationships develop and change, Jess discovers the caring warmth of a welcoming family and a circle of friends who look out for her. She begins to feel that maybe for once, her life is heading in the right direction. However, problems arise when her temper and stubborn nature collide with her new boss Daniel, who is suspicious of her background story. Has Jess told him everything, or is there a hidden secret to justify his earlier distrust of her? With a cast of eclectic characters, set amidst the rugged outback of Australia, Two Heartbeats is a story of friendship, resilience and the hope that ultimately loving relationships may triumph over obstacles defined by the past. Thank you to the author for sending me a copy of this book for my honest review. As I sit here and ponder on this novel I have just read, I realise that the book is just as it should be. The characters stay true to themselves throughout the entire novel. I love this. I did not expect the book to end on the note it did and took my time to process this before writing my review. I could not put Two Heartbeats down. Rhonda Forrest (Lea Davey) has such a beautiful style and describes the Australian land in a way that makes me feel a closer connection and appreciation of the country I live in. The scenery described is breathtakingly realistic. Jess is a young girl who has had to grow up too soon and learn to be independent from a young age, especially once her mother dies of a drug overdose. Her story, up until the moment the reader meets her, portrays her loyalty, courage and determination to succeed, even though she has experienced and witnessed extreme human suffering. I loved these qualities and soon loved her character too. As an adult, our protagonist decides to take an interview that could be life changing. Her credentials are less than satisfactory, yet her determination to do well is clear. As Jess is given a chance to change her life, working as a courier in the mines in a small town in outback Australia, she soon finds herself a family of her own. There are many quirky characters living solitary lives at the isolated site that Jess prefers to live in, whilst working as a FIFO employee. As the daughter of a FIFO father for a few years, I understand the financial benefits of such work, along with the week off to spend quality time with family. My dad also made connections with people who will no doubt be in his life for years to come. The community is something entirely different to that of the normal 9-5 position. I enjoyed reading about the way that the employees looked out for oneanother. The strain on FIFO workers, whilst they are away from their families is significant and I could only imagine what it would be like for someone with a young family. This is my third Rhonda Forrest (Lea Davey) novel that I have read. It has been a while since I have read three novels from the same author that I have loved this much. The novels are all so very different and yet, are all thought provoking and realistic whilst being eloquently written. In Two Heartbeats Rhonda again describes the Australian nature and took me to the outback. Her descriptions gave me insight into a place of rugged, yet beautiful terrain. This is the first novel I have read set in the outback and as an Australian I loved how Rhonda shows appreciation for the Aboriginal culture and sites. Rhonda is one talented Aussie author and she deserves recognition for her talent. The Cottage at Rosella Cove is an engaging contemporary fiction novel that I thoroughly enjoyed. The story follows Nicole, an author, who attempts to leave her past behind and move into an old cottage in Rosella Cove. The deal is that she will renovate the property whilst staying there. For an inexperienced renovator, she tries her best to give it a go. The townspeople soon offer their assistance and within no time there is a working bee happening in the garden and the home. The townspeople are helpful beyond belief. Nicole starts to realise how important her new friendships are and her life becomes intertwined with those around her; past and present. Sandie Docker structures the novel so that the past and present meet in such a beautiful way. Within the narrative are letters from Ivy, the prior owner of the cottage, giving insight into her personal story, the history of the people and town. Nicole finds these letters in the cottage and soon realises their significance. She learns from Ivy’s life lessons. Ivy had struggled with loss, as has Nicole. The way the author develops the characters is interesting, as each individual learns from one another. They learn to live a more peaceful and loving life. The townspeople are superstitious, friendly and extremely welcoming. Nicole also learns to let others in, gaining friendships as she enjoys her newfound home. I fell in love with the townspeople, including Charlie, an old recluse with a tainted history and a big heart, Danny, a gentleman who has experienced his own heartache, offering his friendship to make Nicole feel a part of the town and Mandy, a loving and caring lady who knows what it is the be a true friend. I was, however, left wondering and wanting to know more about the development of certain relationships, including that of her friend Jane. Hopefully there is a sequel. The setting was lovely. Via the author’s descriptions I was able to clearly picture the cottage by the water and as a result of this and the wonderful characterisation, I feel like Rosella Cove is definitely somewhere that I would want to live. If you love Nicholas Sparks’ novels you will also enjoy this. It is a beautiful novel inside and out, that I would recommend. A perfect holiday read. This book was recently given to me at a book swap gathering. I read it a while ago and John Boyne’s novel was certainly in need of a reread. The Boy in the Striped Pyjamas is an emotional read that has had me in tears each time I have read it. As I read the novel again, I realised that I was gaining more and more from it. I carefully considered each thought-provoking quote and since I knew the storyline, I was able to focus on Boyne’s brilliant writing. John Boyne chooses to write The Boy in the Striped Pyjamas from a child’s perspective, which in turn emphasises the impact war had upon the innocent, along with the unimaginable decisions of those in power. Bruno, the protagonist, is an innocent young boy who is faced with many horrors that he is incapable of understanding. Young children more often than not, will say what they truly believe. Bruno does this and his honest view of the world highlights the atrocities of war. The story is set in two worlds. Berlin is the home where Bruno grew up and he describes the vibrant markets, streets where children play together and laughter. In contrast, his new home is cold, terrifying and Bruno feels uncomfortable upon his arrival. His feelings and descriptions of his new home are juxtaposed with that of his happy home that he grew up in. This reflects the vibrancy before war and the desolate world during war. I understand why this novel is a perfect novel for school children to study. Although we are not living in a war torn country, it is extremely important that the children of today understand what racist views and violence can lead to. This is perfect for teachers to discuss multiculturalism within Australia, understanding of different religions, races and the need to treat and accept everyone as individuals. Bruno converses with people who teach him about himself and the world around him. Maria, the family’s maid, is subtle in her teachings and positively influences his acceptance of all people, rather than racist views that encourage violence and hatred of others. The characterisation is unique and praiseworthy. There is a lot more I would love to share in this review, however, I do not want to give away any spoilers. If you have not read The Boy in the Striped Pyjamas yet, please do. It is a truly exceptional novel that is emotional throughout and has an ending that is unforgettable. I highly recommend this novel and will no doubt read it again in the future. The Silent Patient is one of those novels that I have been thinking about days after I finished reading it. The novel is well written and intrigued me from the beginning, as it is written in first person from two perspectives. Theo Faber, criminal psychotherapist via his own voice in present day and Alicia Berenson, famous painter convicted of murdering her husband, via her diary entries, allow the reader into their minds. In this instance, both Theo and Alicia are flawed characters whose personalities, personal histories and mental health are exposed. Any thriller novel that takes me into the mind of a fictional character often has me concerned. When the writing is good I know that I will generally feel quite scared or have nightmares afterwards… this was one of those stories. Ever since Alicia lost her husband and was found at the scene of the crime, she has remained silent. Theo takes the position at the mental health unit in which Alicia has been placed. His aim from the beginning is to work with Alicia, who he admired as a painter. Theo focuses on helping her to find her voice again, via psychotherapy sessions and her chosen medium. Throughout the whole novel I continued to ask myself questions and these questions were why I couldn’t put the book down: What would make Alicia talk? Did Alicia really murder her husband? Will Theo do his job as a psychotherapist or has he become too personally involved to truly help his patient? As the story progresses, Alicia and Theo’s lives become intertwined in an unprofessional manner. Theo continually compares himself to Alicia and provides personal information about himself in their sessions. The twist at the end of the story, for me, was not as unexpected as I expected, however, the narrative and writing were truly compelling. The Silent Patient is well worth the read. Thank you to the author, Lea Davey (Rhonda Forrest) for providing me with a copy of The Shack by the Bay in exchange for an honest review. An isolated fishing shack on a beautiful bay in the Whitsundays provides Luke with a retreat where he can find peace and solitude. However, the discovery of family war relics, and a developing relationship with the beautiful Lily, connects family histories and reveals a story that threatens to destroy his chance at real happiness. Will the wartime secrets prove to be the breaking point for a beautiful romance? Or can two families put the deeds of the past behind them? Do you want to read an Australian historical romance novel that is refreshing and an absolute page turner? The Shack by the Bay had me from the first page and once finished I was left feeling content, happy and relaxed. Set in a stunning location, I felt every calming breeze, smelled the salt water in the air and experienced a place that made me feel at home. The vivid descriptions of the Whitsundays, peaceful shack by the bay and the local pub had me hooked. As an Australian reader, I particularly appreciated the location, especially the Aussie small town vibe. I love Lea Davey’s narrative style. Her choice of descriptions offer a subtle and gentle romantic tone throughout the novel. Luke’s love life is far from perfect and his experience of true love is nonexistent until he befriends bookshop attendant, Lily. Luke, the protagonist, is a likeable character who was abandoned by his mother and was left with his grandparents at the age of six years old, two years after losing his father. My heart broke as I read of this turning moment in his life. His grandparents gave him the life he deserved, caring for him and loving him. His relationship with his Pa and the time they spent together fishing and reading made for a perfect start to the novel. His respect and love for his grandparents made me love his character from very early on in the book. When Luke finds a letter and important items that cause him to question everything he knows of his heritage, he must ask himself when he will be ready to face the truth. He will question whether or not to share his findings with those who are in need of closure. This is the first historical fiction novel from an Australian wartime perspective that I have read. I have read novels that were from an international perspective prior to this one. I was interested to read of the war veterans’ perspectives and particularly interested to learn about perspex trench art. As an Australian growing up in a multicultural society, I have not personay encountered prejudices due to past horrors of war. I have, however, seen racial prejudice within the media and in the school yard. It is hopeful that one day people will all see each other as individuals, rather than creating barriers. The Shack by the Bay has a meditative quality. I can’t say that I have made that comment about many fiction novels before. The novel is contemplative, reflective and considerate of the world around us. The Author shows the reader how to appreciate the ‘little things in life’ through the thoughtful ways of the protagonist. The novel has a slow pace, ‘the way that Luke, just like his dad, enjoys the simple things in life’ and is mindful of the natural world around him. This novel is much more than a romance novel. It has the ability to remind us of what is important in life and provide insight into Australian history. I would not hesitate in recommending The Shack by the Bay. ⭐⭐⭐⭐⭐ A five star read!! Years in the making, Kingdom of Ash is the unforgettable conclusion to Sarah J. Maas’s #1 New York Times bestselling Throne of Glass series. What an epic ending to an epic series.